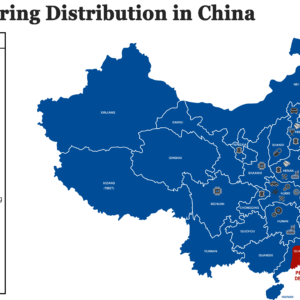 The Chinese manufacturing industry is geared toward mass production. Once your startup is successful and you need to produce thousands of units at a time, it usually makes the most sense to find a factory there and take advantage of the lower labor costs. But what about shorter runs, when you’ve just finished prototyping and need to manufacture your first few hundred to a thousand units? Where should you look then? Local fabrication houses have become more and more designed for these short runs as they work to remain competitive globally. While they have some advantages, the best path forward takes a deeper dive. Communication is easier – Language can be a real challenge in working with China directly and these early conversations are typically of the difficult technical variety. Time zone and proximity – Working with local fabrications houses allows you to give real-time feedback during your working hours. As problems arise and need sorting, you can go to the factory to work with them directly, approving samples or identifying improvements. Shipping – You can save the time and cost of shipping first articles and then the production units. Engineering – Because you can “speak the same language”, it can be easier to vet and confirm the level of engineering support you need from the factory locally. Unless you work with a trusted partner in China, it can be difficult to know up front if you if you are really getting the support you will need to solve the tough problems. 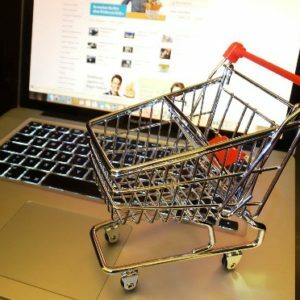 The obvious one is price: Due to the difference in labor and rent, the overall costs are generally a bit higher producing locally, even after taking shipping into account. The price differences are usually not significant though and given the time you are going to invest yourself, achieving quality results will be the biggest affect on your bottom line. The more subtle but much more important factor is preparing for mass production: If you produce your first run locally you will be using local engineers, local technology, local machines, local language…. While technology can transfer, the way the factories are set up is often very different. Local factories generally employ more automated equipment to save on labor costs, so different tools may be created, and those tools used on different machines. If you were to continue to mass produce with the same factory, then all of the investment with teaching that factory how to make your product and their work to troubleshoot the manufacturing process would remain intact, but if you transfer your production to a new facility with different tools, different machines, a workforce that speaks/reads a different language, then all of the work you are investing in to write SOP’s and inspection guidelines, build tools for automated machines and so forth, is often lost. There is a lot of human and machine “training” (ie. process parameters) that goes into manufacturing a product and you will need to reinvest this time and money if you transfer your production to a facility in China from your local supplier. What is best for your business will depend on how to maximize the pros and limit the cons. If you need to get the first units out quickly and expect a lot of difficulties in going from your design and prototype to a fully manufactured product, then you are more likely in better hands working locally with better support and access. If you feel pretty comfortable that the transition won’t be too difficult, you need to ramp quickly to higher numbers, and you are really just looking at the first run as a quick step to mass production, then you will likely save time and money by going directly to China first. If I didn’t answer your questions here, please drop me a note in the comments and I’ll be happy to follow up. We look forward to hearing your thoughts! And of course, for more news and discussion be sure to join our mailing list! This entry was posted in Blog, Manufacturing and tagged business, china, manufacturing, new technology, startup. Bookmark the permalink.